Last week was a busy one for analysts of suicide terrorism. The classic "profile" (21-year old single male) was shattered again, as entire families in Indonesia and dozens of Palestinians carried out attacks that required their deaths. The inspiration for such disparate populations to sacrifice themselves and their children was their desire to become holy "martyrs." Attacks on "the Sunday people" in their churches are not unknown in Indonesia, but on Sunday, May 13, an entire family of six conducted coordinated suicide bombings at three Christian churches in the city of Surabaya. According to police, Dita Futrianto and his wife were members of the local ISIS affiliate, Jamaah Ansharut Daulah (JAD). The Futrianto family used a car, two motorcycles and suicide belts in the attacks. Later that evening as another family was preparing pipe bombs, a mother and her 17-year-old son were killed in a blast presumed accidental. The next day, yet another Indonesian family conductedanother suicide attack. This time, five family members riding two motorcycles struck police headquarters in Surabaya. Meanwhile five thousand miles away in Gaza, Hamas came up with a new tactic, one part Khomeiniesque human wave attack and one part "suicide by cop," by coercing children to storm the border fence, telling them "the [Israeli] army won't shoot girls…[it] won't shoot little kids." The new Hamas tactic, which U.S. Ambassador to Israel David Friedman calls "a suicide bomb on a large scale," is actually a variation on the human wave attack invented by Ayatollah Khomeini during the Iran-Iraq War (1980-1988). German journalist Christoph Reuter described it as a "new military strategy [that] attempted to penetrate Iraqi lines of defense with frontal assaults consisting of wave upon wave of human soldiery without any kind of backup support." Often that "human soldiery" consisted of thousands of children from the Basij. The Basij children charged en masse, screaming at the tops of their lungs to scare the enemy. Hamas positions its children behind the smoke of burning tires as they wait for an opportunity to make a run at the fence with Hamas-issued wire cutters. This tactic has an element of "suicide by cop" to it, only rather than the last desperate act of cowardice from a deranged killer, children in Gaza have been groomed for death, inculcated into the martyrdom culture. Hamas leaders require dead bodies for the global sympathy they hope to gain by the propaganda spectacle of what Gabriel Weimann calls a mass-mediated attack. Seth Frantzman documents elaborate behind-the-scenes preparations at the border: "Hamas officials show up in the morning or early afternoon to rouse the people and encourage them in their protest. Speeches are made and prayers offered. It is well organized. Buses bring people to the protests. There are people there selling food. There is a macabre element to this, with protesters saying they'll have a meal before they become 'shahid' or martyr at the front." The common denominator among Basij human wave attacks, Indonesian suicide families, and Palestinians rushing towards a telegenic death is belief in "martyrdom." It is one of Islam's most important narratives, yet it beguiles the Western perspective, which sees only a cynical use of children as pawns. To motivate his wave attackers, Khomeini reached back to the origins of Shia Islam when the Caliph Yazid slaughtered Husayn Ali (grandson of the prophet Muhammad) and his 72 loyal followers. Khomeini fine-tuned the story by portraying Saddam Hussein as Yazid and the Iranian people as Ali's followers. Dying for the cause became not only honorable, but desirable. Khomeini sent his Islamic Revolutionary Guard Corps (IRGC) to Lebanon's Bekaa valley, where the new politicized version of martyrdom was spread to AMAL and Hezbollah, inspiring some of the earliest suicide attacks against Iraqi diplomats and US and French peacekeepers. Soon what was originally a Shiite phenomenon spread among the PLO (exiled to Lebanon since 1970) and eventually to other Sunni Islamist groups including Al-Qaeda and ISIS. Many journalists continue to seek reasonable explanations for suicide attacks, failing to appreciate that the people encouraging and committing these attacks don't consider them suicide. 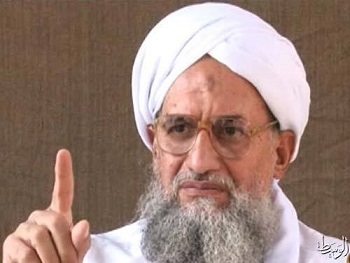 Current Al-Qaeda leader Ayman al-Zawahiri explains that one who commits suicide does so "out of depression and despair," whereas a martyr dies "to service Islam." In fact, "martyrs" don't really die. As Hamas founder Ahmed Yassin once explained, "Someone who commits suicide doesn't want to live whereas a martyr is someone who likes life after death." In claiming responsibility for the Futrianto family's attacks, ISIS announced "Three martyrdom attacks killed 11 and wounded at least 41 among church guards and Christians." Likewise, when Yahya Sinwar of Hamas' Izz ad-Din al-Qassam Brigades announced the deaths at the Gaza border proclaimed "We are going to Jerusalem, millions of martyrs…following in the path of martyr Yasser Arafat…if we explode we will explode in [Israel's] face." Those who underestimate the cult of martyrdom will remain confused at "Palestinian children being sent to an extremely volatile border fence" and surprised by Indonesian family attackers "so far from the profiles of what you would think a terrorist would be." As long as thousands, perhaps millions, believe in the virtue of sacrificing themselves and their children "to service Islam," no one should be confused or surprised by whatever new development comes next. A.J. Caschetta is a Ginsburg-Ingerman fellow at the Middle East Forum and a senior lecturer at the Rochester Institute of Technology.